← How Are Samovars Used? I try not to be a tea snob (or a Tea Nazi). You drink what you like and I’ll drink what I like. But being a part of the tea industry means I hear from a lot of people with — shall we say — very strong opinions. One thing we all seem to agree on is that we really prefer loose leaf tea to teabags. But why is that? There’s a quality difference, perceived if not always actual. Ask a tea snob about Lipton tea and they’ll tell you those teabags are filled with the floor sweepings left over after all of the good stuff was packed up. There’s a hint of truth to it: the tea isn’t swept up from the floor, but it’s often fannings or dust. There’s a good reason for that, too. By breaking those tea leaves into tiny pieces, the water has much more surface area to interact with. That’s why teabags often produce a heartier, stronger, and more “brisk” cup of tea. You can get larger leaf teas in bags, though, and the “pyramid” or “sachet” bags allow much more flow of the water through the leaves. Still, argue many in the business, the highest grades of tea are typically reserved for sale as bulk loose leaf tea, and that gives us a better-tasting cup when we use loose leaf. There’s another factor, though. One that’s as much based on aesthetics as taste. I like the whole leaf teas because I like the leaves themselves. 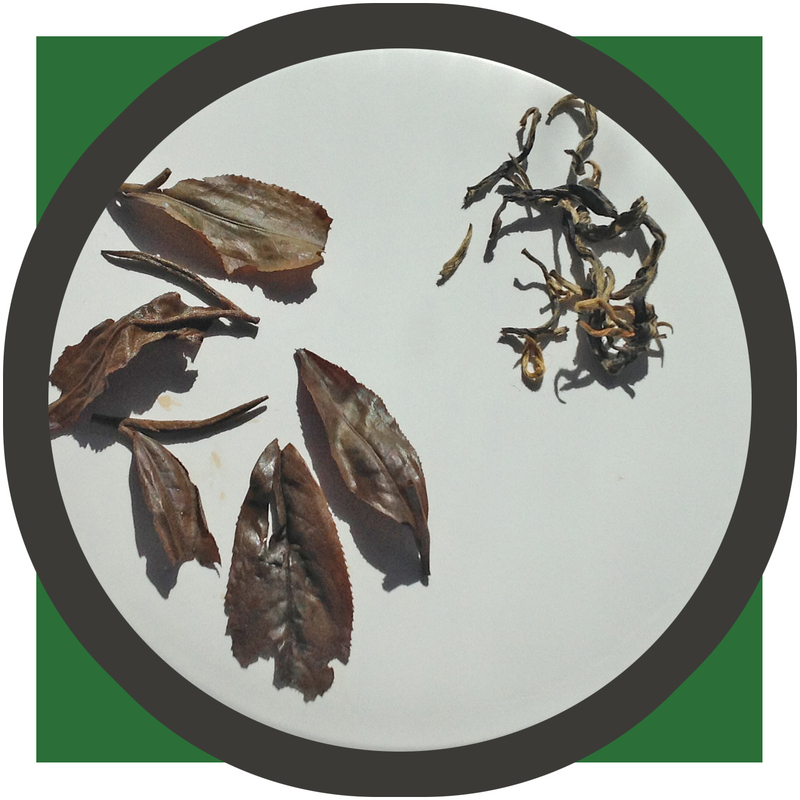 The picture above shows dry and wet leaves from a whole leaf Royal Golden Safari, one of my favorite black teas. It’s a whole-leaf black tea from Kenya. After you’ve steeped it, you can see the leaves and buds fully unrolled. You can smell the leaf, feel the texture. You can see the size and shape of the leaf. 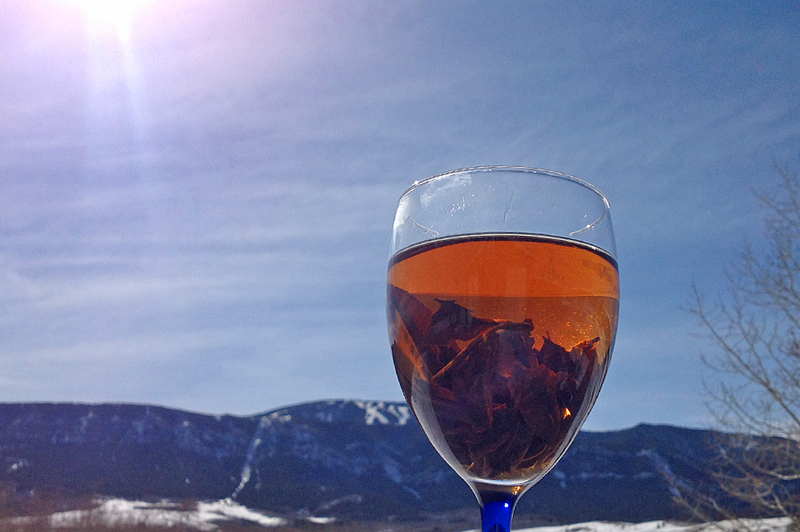 Experiencing the leaves becomes a part of experiencing the cup of tea. Wine drinkers enjoys more than just the taste of the wine. They’ll swirl the wine in the glass to bring out the nose, watch the legs as it runs down from the rim, examine the cork for hints of how the wine aged. The tea equivalent is watching the “agony of the leaf” as the tea leaves expand fully in the pot or infuser, holding the leaf and comparing its smell to the aroma of the brewed tea, and examining the leaves to glean what information you can about the origin and preparation of the tea. What is “brisk”? The Lipton people say it means “astringent.” I might say it refers to a cool afternoon on the back deck watching tea leaves unfurl in hot water as I anticipate the luscious cup that I am soon to enjoy. Posted on 30 October 2012, in Tea Thoughts and tagged agony of the leaf, Kenya, loose leaf tea, pyramid sachets, Royal Golden Safari, tea bags, whole leaf tea. Bookmark the permalink. Leave a comment.